The Brother™ Entrepreneur® PR655: setting the standard for powerful, multi-needle embroidery machines. Introducing the Brother™ Entrepreneur® PR655. When it comes to powerful, multi-needle embroidery machines, Brother™ sets the standard with the Entrepreneur® PR655 advanced 6-needle home embroidery machine, the next generation of state-of-the-art multi-needle embroidery. 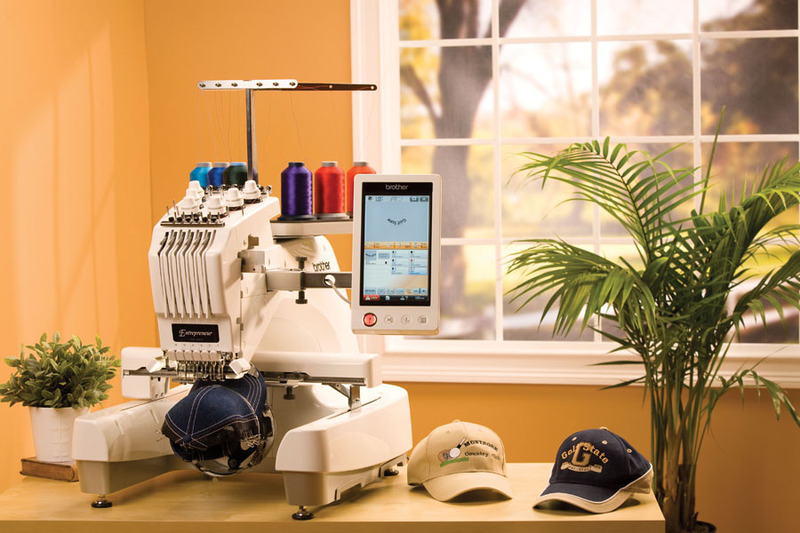 Boasting an array of and standard features and functions that make it the first word in multi-needle embroidery for profit-minded professionals and passionate hobbyists alike, the PR655 offers everything you need to take your embroidery projects to the next level. 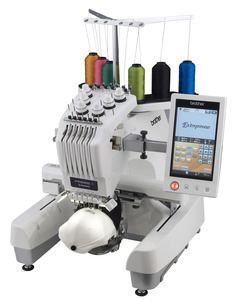 The PR655 combines easy-to-use features with innovative technology to deliver an affordable yet feature-packed multi-needle machine for embroidery enthusiasts and budding entrepreneurs. Maximum Embroidery Area (X x Y): 12" x 8"
Machine Dimensions (H x W x D): 30.312" H x 20.156" W x 23.188"
Cumulative Update Firmware to Latest Version 4.4 for PR655, PR655C. The display of the embroidery area on the pattern display screen will be indicated in conjunction with the embroidery frame holder and the embroidery frame installed in the machine. The guide settings on page 1 in the settings screen will also be displayed in conjunction with them. Brother Entrepreneur PR1000e and PR655 products manufactured between September and December 2013, may require additional lubrication in the Crank Rod area to avoid potential binding. We are inspecting our current inventory and will correct this issue prior to future shipments. However, we strongly suggest that any product in your inventory and/or that have recently been sold to customers be inspected and additional Molykote EM30L grease be added. Proper lubrication procedures can be found in the appropriate Service Manual. Warranty Labor Reimbursement will be offered to Brother Authorized Service Centers for this additional lubrication on product manufactured during this timeframe. If for any reason you feel a Crank Rod Assembly has been compromised in anyway due to this situation, replacement parts will be offered free of charge.